In November we’re reading Post-Critical? from Hal Foster’s collection of essays Bad New Days: Art, Criticism, Emergency (2015). This discussion will be chaired by Dasha Loyko. DOWNLOAD: Foster, Hal (2015). Post-Critical? In Bad New Days: Art, Criticism, Emergency. London: Verso. 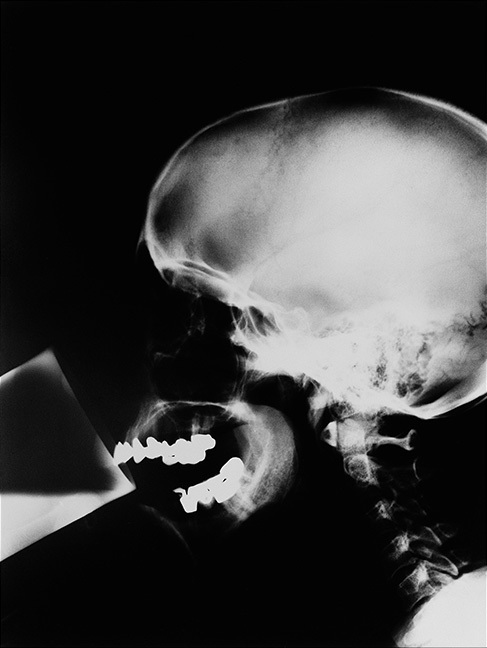 Isa Genzken  X-Ray. Gelatin silver print, 100 x 80 cm. Hal Foster is an American art critic and historian. His essay ‘Post-Critical?’, originally published as a short article in The Brooklyn Rail in 2012, has been extended and included in his 2015 book ‘Bad New Days’. It is a contemporary text which addresses some pressing issues in the field of art criticism. Foster starts off by historically assessing the negative change of attitude towards criticality, from the distrust of the elitist and out-of-touch critic to the need for affirmation in the post-9/11 age. He then goes on to assess the arguments proposed by Bruno Latour and Jacques Ranciere against criticism, which builds up on our previous discussions, and to raise contemporary social issues which call for a return of criticality.